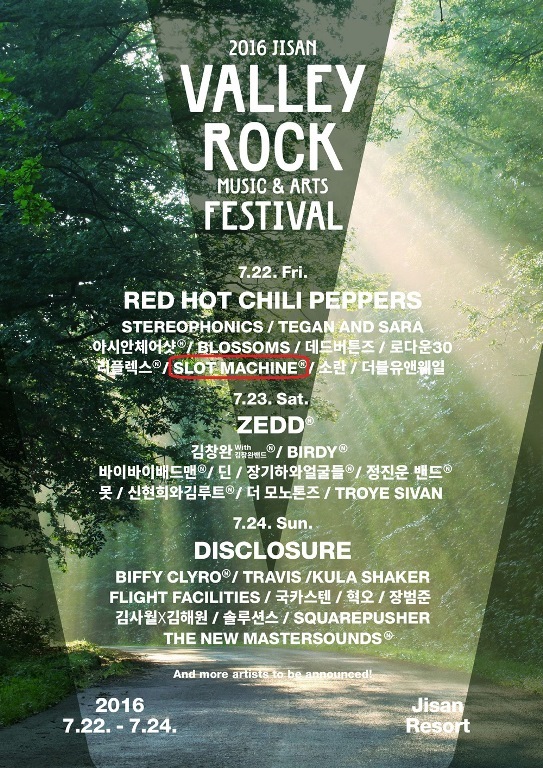 "Slot Machine is thrilled to perform at three massive music festivals this year; Jisan Valley Rock Music&Art Festival, Fuji Rock Festival 2016 and Super Slippa 2016 Taipei Super Summer Music Festival. " 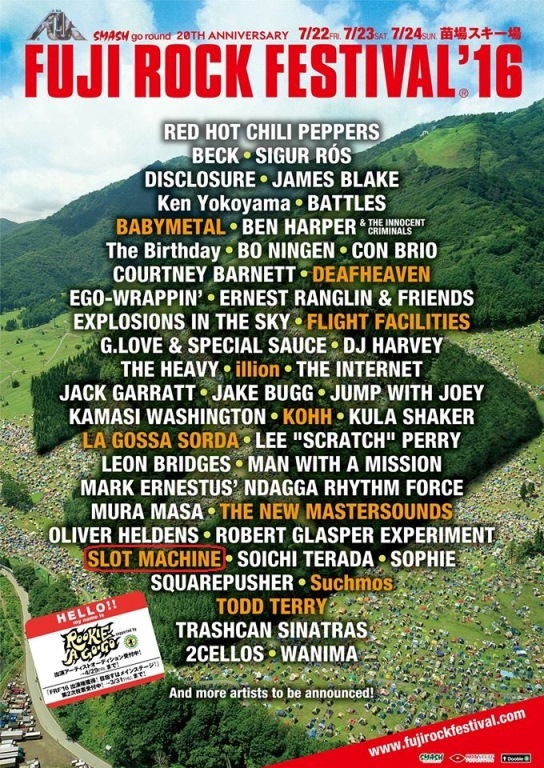 Slot Machine is included in the lineup for 3 gigantic music festivals this July,. They are the only Thai band to perform for all their fans in Korea, Japan and Taiwan. 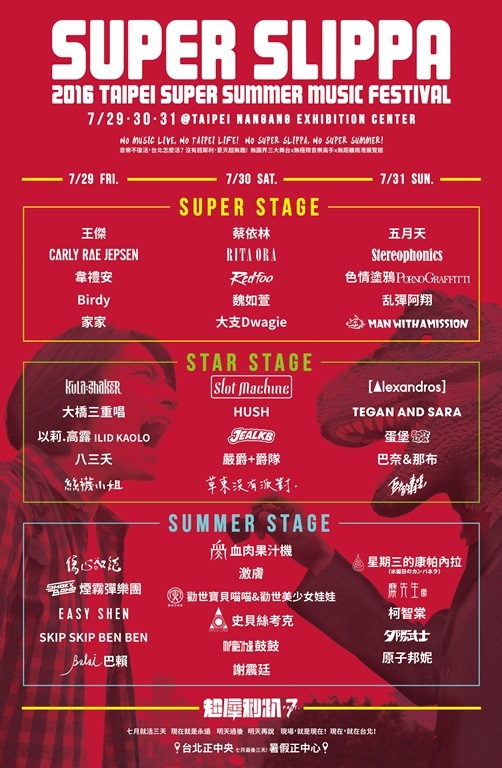 They will be performing on the same stage with well-known international acts such as Red Hot Chili Peppers, Disclosure, Beck, Years & Years and Troye Sivan. For Slot machine, they are very excited as their first English album, ‘Spin The World’ will be released in the region very soon and have a chance to perform their new songs in these three festivals.